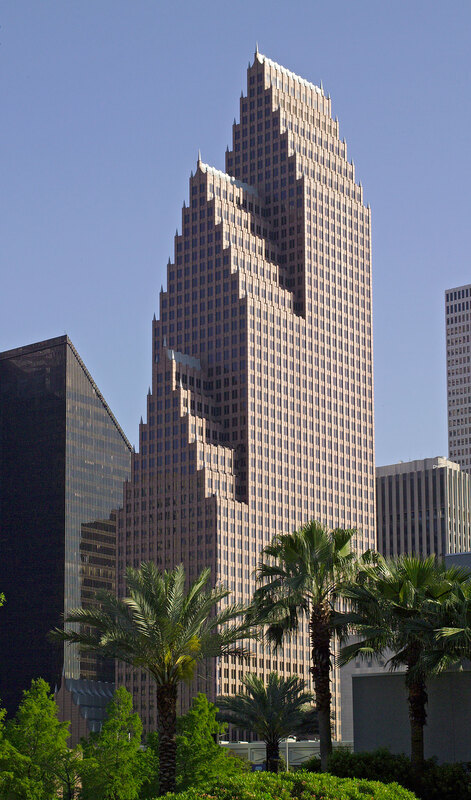 Completed in 1983, Bank of America Center is a 56-story, 1.5 million-gross-square-foot office tower with an adjacent 12-story (125-foot-high) banking hall. 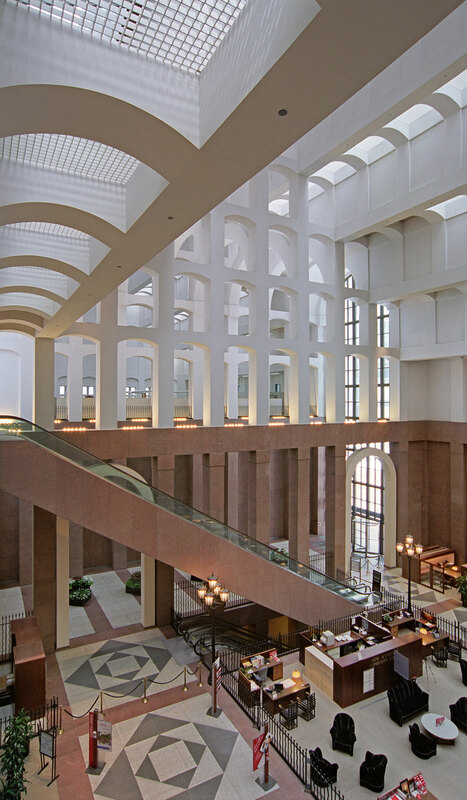 The neo-Gothic building, designed by Philip Johnson and John Burgee, is clad in Napoleon red granite and reflective glass. 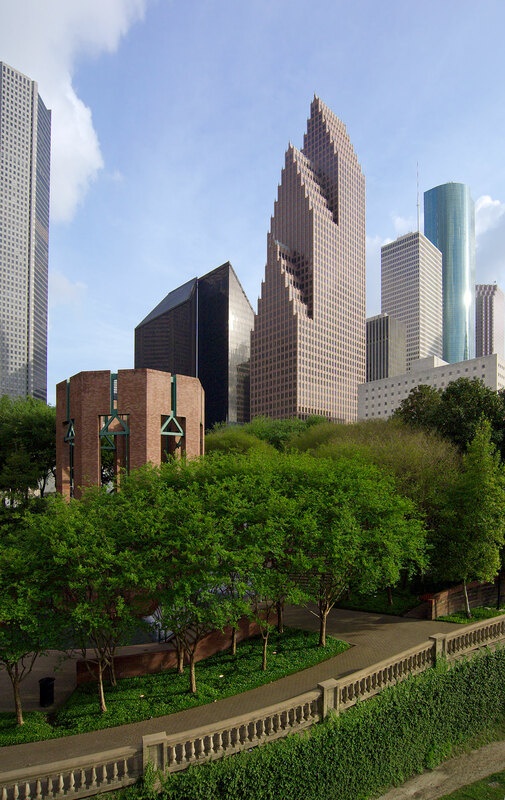 The dramatic gabled roofline has become a major feature of the Houston skyline.